Personally, I think all the villain stuff is a little silly, especially without knowing the overall story. With the exception of The Mandarin (and good luck pulling that off with racial sensitivity) and alcoholism, Iron Man has a pretty dull rogues gallery. 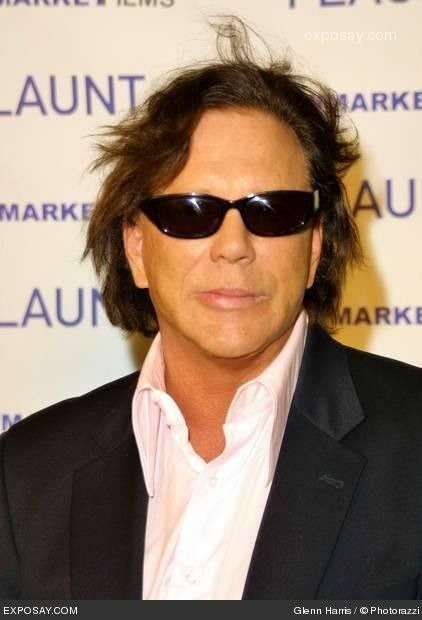 What’s important is that Mickey Rourke continue his resurgence by getting cast in a major role in this movie. Rourke’s fortunate because career-wise, being in “Iron Man 2” is a plus even if the film is terrible (although if he gets called out for being terrible in the movie, that could be bad, but I honestly don’t think that will happen), Rourke still looks like a success because just the appearance is such a 180 from a guy who was seen as too much of a risk to be cast in “The Wrestler”. Meanwhile, the whole “Iron Man 2” ride has just been crazy from the get-go. If you’ll remember, Marvel dragged their feet in resigning Jon Favreau, a month ago, Samuel L. Jackson cast doubt about whether he would return to play Nick Fury, and now Emily Blunt is also in some nebulous casting phase as she may play Black Widow but may not due to a scheduling conflict with Gulliver’s Travels. To not envy the casting director of “Iron Man 2”, click here.